Comedians otherwise referred to as humour merchants have become a major part of the entertainment industry in Nigeria. ANTHONY ADA ABRAHAM and SAMUEL ABULUDE, profile the comedians who shinned like a million stars in 2014. In the entertainment industry, comedy is regarded as the fastest sub-sector of the industry. Hardly will there be an event without the services of a comedian to lighten up the atmosphere and prepare the audience for the real thing. Stand-up comedy, the most popular of the genre of professional comedy has been embraced by Nigerian youths as the way out of poverty. A lot of platforms like Stand Up Nigeria by Bunmi Davies, Open Mic Challenge created by AY and others, have helped to produce new talents in the comedy industry. In 2014, a lot of comedians has diversified and made themselves relevant. These humour merchants are our Most outstanding comedians of 2014. They are profiled in no particular order. Comedian and showbiz entrepreneur, Ayo Richard Makun popularly called AY keeps setting the standard. He is the brain and event organiser of the show-stopping annual comedy event, AY Live. 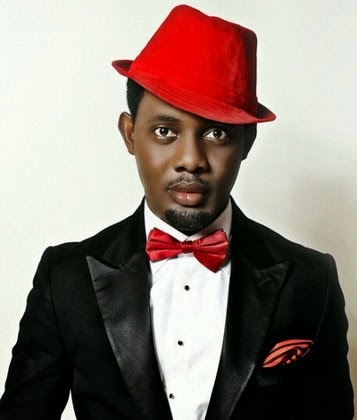 Then he started his comedy drama, AY Crib, a popular sitcom featuring Alex Ekubo,Venita Akpofure, Buchi Franklin and Justice Nuagbe. Now, AY has produced his first movie, 30 Days in Atlanta. The comedy which stars American and Hollywood actressacts, Vivicia A. Fox among others is a good movie and won the Best Comedy in Best of Nollywood, BON 2014 awards. 30 Days In Atlanta has hit the cinemas already. AY has made business out of comedy and showbiz. His brand keeps soaring. Months ago, he opened a club in Lekki part of the Island in Lagos. Ayo Makun who was once Alibaba’s personal assistant is the CEO of Corporate World entertainment. Bovi is the comedian everyone wants to see and associate with. The comedian started with comedy series and now headlines different shows. Bovi was supposed to co-host HEADIES 2014 but for some reasons not known to his fans could not be at the Headies. His place was taken by Basket Mouth. Bovi’s one- man comedy-event held last year was a huge success and proved that he was a bundle of talent. He repeated the same show in 20 14. He is doing same in London now. For a comedian unknown five years ago, it’s a testament of his relevance and work ethic. Nigeria’s most Versatile Entertainer/ Entrepreneur/ CEO Workerman ENT, producers of Award winning film, The Nanny has been hosting his comedy show tagged, “Out of Control” which has seen the best of the best comedians within and outside the shores of the country. He is very talented as an actor, musician and comedian. He’s one of the top comedians of 2014. The in-house Glo Ambassador has been doing very well for himself, churning millions of naira into his pocket. He has toured the world with Glo and has attained greater height in the comic industry. He is regarded as the biggest now in the industry. This comedian/compere has seen it all. He has made name for himself within and outside the country. Gordons is frequently invited for shows in Abuja especially in churches because of his tactics in passing across his message to the audience. He has carved a niche for himself and it’s sure going to be great for him next year. No doubt, Ace comedian, Gbenga Adeyinka, who went by the title CFR, and now GCON (Grand Comedian of Nigeria) has made Nigerians proud both at home and in the Diaspora. Gbenga is very popular with his shine shine bobo ‘Star Game Show’. Although he may not be the most amazing comedian in Nigeria, one thing stands him out and that is his spectacular way of delivering his comedy. Adeyinka is known to use different languages to bring his comedy home and he is arguably the only comedian who has taken comedy to the 36 states of the country. He is known to compeer major ceremonies and shows in dramatic ways. Today, Gbenga’s story has changed. He has spent more than a decade in the comedy business with world class reputation and an unforgettable 20 years in marriage. Tunde Adewale, a.k.a Tee A, the comedian, has been in the industry for years. Known for his humour, the stand-up comedian also anchors a television talk show, Time out with Tee A. The Hilarious Tunde Adewale is the founder of First Class Entertainment, an independent television programme than has seen him doing very well. This young man has made comedy worthwhile with his Teju Babyface show which has brought in guests from all walks of life. It has also won him lots of accolades. Being a plus-size person might be very worrisome, especially now that most men prefer their women very ‘portable’. Ironically, in the past, men wanted those on the ‘big side’ when they wanted ‘big madams’ as wives. Having to be a plus-size now comes with a lot of working out; not that they do not appreciate the way they are, but it is now necessary because of the worries of being on the ‘big side’. For comedian and United Nations Peace Ambassador, Lepacious Bose, she jokes with it and it makes her well respected. She’s one of the top female comedians in Nigeria today. Helen Paul is a lady of many parts. A comedian, radio and TV presenter, an actress and even a musician. Who was a receptionist at Eko FM Studios and from there, started doing back-up, voice over. When she got into the University of Lagos, she discovered the comedy part of her and have been doing very well ever since. The award winning stand up comedian has since made name for herself and is swelling high, competing favourably with her male counterparts. Nigeria’s craziest comedian, Owen Osemwegie aka Owen Gee started off as a musical act. Whilst performing on stage with his group, the audience teased and booed at them. He asked the DJ to stop the music and started throwing words at the audience. He ended up thrilling the crowd for close to thirty minutes. This marked a starting point for him. Today, Owen Gee has released a comedy sketch – Elder Statesman and he discusses the topic – Nick name also known as slang from the perspective of an elderly man. He’s of the top comedians. Though there are others like, Yaw, Bash, Bowjoint, Babadebaba, Cee.Y, Papabee, Josh2funny, Omobaba, Nick B, Stainless, Lolo etc. Akpororo is a delight any day. The comedia who burst into the entertainment scene a few years ago has suddenly been one of the most sought after comedians particularly in faith-based events. The Waffi-boy isn’t quiet about his faith and perhaps that has earned him plaudits from different quarters. Akpororo has a fierce look and like other comedians is not afraid to tell the audience how they conquered poverty. The lanky entertainer has graced EXPERIENCE Concert now back to back, he also made a guest appearance at the annual Youth-Alive church program of Living Faith Churches at Canaanland, Ota. Akpororo knows how to easily get the audience’s attention and he has won the Comedian of The Year in 2014 and last year, 2013. He is creative having released a song, and not afraid to experiment. Have you been amused and entertained by a comedy skit titled ‘Adventures of Kunle Thomas’ running on TVC and other channels. The skit is hillarious and is close to the award winning comedy series of Michael Crawford’s, ‘Some Mothers Do Have Them’ where one dumb man named Frank Spence keeps every one spell bound with his antics. Adventure of Kunle Thomas in this 21st century is close to the foreign drama series only that it isn’t a full drama series. The man behind the unconventional skit is called Mr Patrick with real name Patrick Onyeke. His genre of comedy is FlatStick. According to Mr Patrick who was nominated for AMVCA comedy writer of the year in the Desmond Elliot-direction comedy, ‘The Place’, he’s been around for almost a decade now doing stand-up comedy. “FlatStick is the kind of comedy exhibited by Adventure of Kunle Thomas and it is a Pan-African show where Kunle Thomas connects with other continents in a comedy show. I’ve spent money and creativity to show this side of me. I’m introducing another genre, ‘Dark Comedy’,” says Mr Patrick.